Set on 3.2-acres of land and back from the road, this wonderful ranch is a must-see for those who want room to move and play. 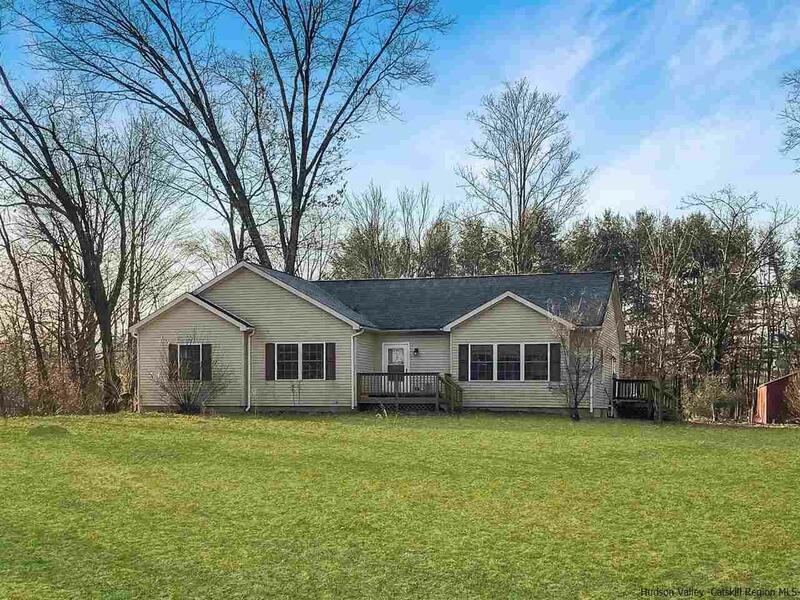 Bordered by soaring trees and a relaxed, country-style setting, you will love the peace, privacy and space this home offers. The floorplan offers three bedrooms and 2.5 bathrooms, including the master ensuite with a separate shower and tub. For complete convenience, living is spread over one level. Beautiful, eco-friendly bamboo floors flow throughout the kitchen, dining room, living room and hallway, while large windows allow an abundance of natural light to fill the home. Surrounded by nature, you can also take in peaceful, wooded views from most rooms. The kitchen is well-equipped with plenty of storage above and below the counters. There's plenty of space to relax and the huge basement is just waiting for your finishing touches. Fresh paint and new flooring would turn this space into a great mother-in-law suite. Upstairs, sliding doors lead out to a rear deck with views over the backyard, ready for summertime grilling. Extra features include a 200 amp, underground electric service, plus an above ground pool in “as is” condition. There is a main floor laundry, plus a huge outdoor storage shed for the DIY enthusiast.